Omaha&apos;s dining scene sizzles with innovative culinary creations and the Now Serving Omaha webisodes showcase a variety of local flavor. With food from both land and sea (and everything in between), Omaha serves up favorites such as tender 16oz bone-in ribeye doused in a secret whiskey sauce, chef created cuisine utilizing fresh locally grown produce, and sushi so masterfully created it&apos;s nearly too beautiful to eat - but too hard to resist. Omaha&apos;s eclectic menus are matched only by the restaurants&apos; diverse atmospheres. Browse below to explore original Omaha restaurants filled with delicious options that keep visitors coming back for more. 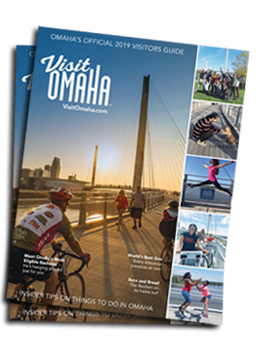 If you&apos;re looking to check out a variety of Omaha dining hot spots all at once, try one of the Omaha Culinary Tours.